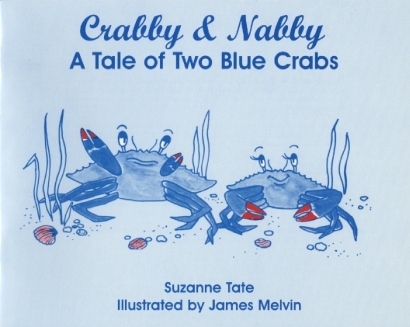 All about blue crabs and their life cycle from the viewpoint of two colorful, crabby characters! This book teaches children about caring for one another. 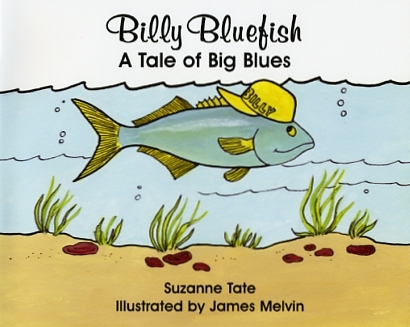 A tale about the trials, and lessons learned of a young bluefish who finds that it doesn't pay to be a bully! 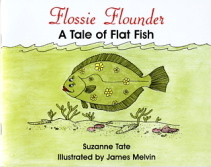 A tale developed around the interesting fact that a baby flounder looks different from its parents. The book promotes self-esteem. 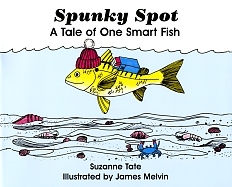 A young fish learns from his teacher to "just say no" to worms so he won't get hooked! This book has approval of Just Say No International. 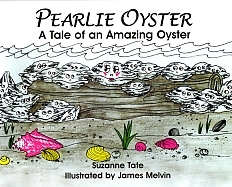 A story about the amazing life of an oyster and how a pearl is formed. Children learn that someting good can come out of a negative experience. 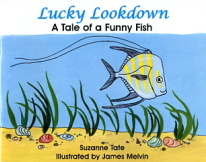 Charming tale of a little lookdown fish living at a science center. 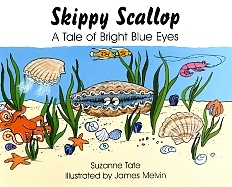 Book is sponsored by Virginia Marine Science Museum and teaches self-esteem. 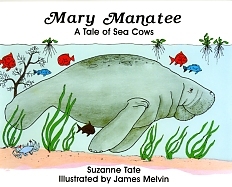 A tender story about a mother manatee and her calf. Children learn why it is important to obey their parents. 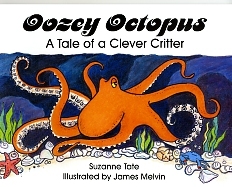 Book is sponsored by the Pier Aquarium, St. Petersburg, FL. 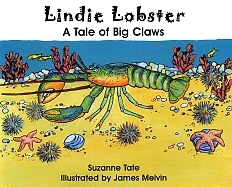 Exciting tale of a little shrimp and his big sister. 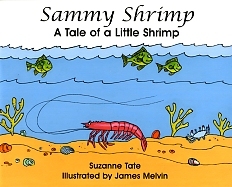 This book presents facts about shrimp in simple and entertaining format. Clean Water Charlie teaches children how they can help improve water quality. Book is sponsored by NC Assoc. Soil & Water Conservation Districts. 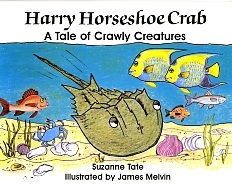 Interesting facts about the habits of horseshoe crabs and how they save human lives everyday. 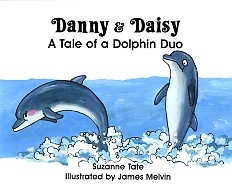 This book is sponsored by "Ding" Darling Wildlife Society, Sanibel, FL. 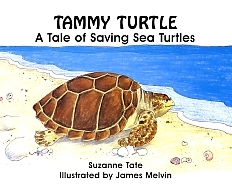 A book full of facts about loggerhead turtles that tells how they survive with the help of protection programs. 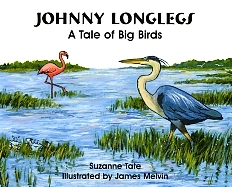 This book is sponsored by Coastal Wildlife Refuge Society, Manteo, NC. A tale of an old bird whose wise ways save his flock. This charming story teaches children respect of elders. Helpful humans rescue two young dolphins and take them to a science center for rehabilitation. 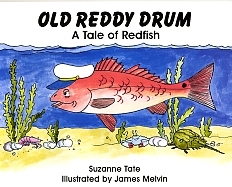 Old Reddy Drum, a wise and powerful fish, gives life-saving advice to a young Peter Puppy Drum. 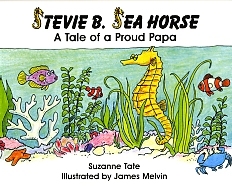 Fascinating facts about an unusual fish that reverses parental roles - papa sea horse nurtures the eggs! 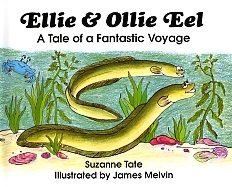 A book containing fascinating facts about eels. 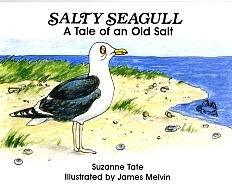 Children will delight in reading the story which is based on true events. 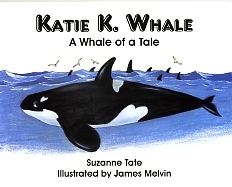 A tale based on the true story of a killer whale that followed a ferry-boat. Children learn to stay away from strangers. Juvenile pelicans must be lively to survive. 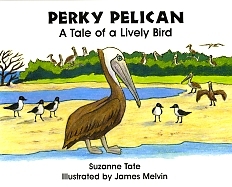 Story and facts from research at a pelican rookery. 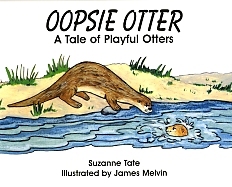 This warm and lively tale about river otters, an animal that lives in many of America's waterways, is full of interesting facts. 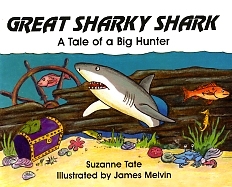 Great Sharky Shark and his sister hunt for fish but young Sharky gets more than he bargains for with one meal. When a piece of trash gets stuck around his head, he nearly becomes dinner for a bigger hunter than he. 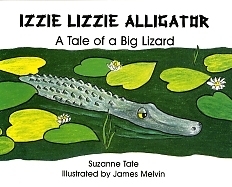 Interesting family behavior of the American alligator and how pollution affects the species. 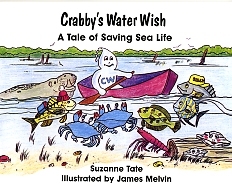 This book is sponsored by Coastal Wildlife Refuge Society, Manteo, NC. Little known facts are revealed in this story about a solitary, intelligent creature that surprises the scientific community. 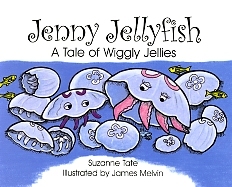 Children are fascinated by jellyfish, but they are not really fish at all. Jellies are a primitive type of animal and have no hearts, brains or bones! All about the star-shaped creatures commonly know as starfish. 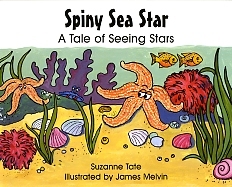 A better term for them is "sea stars" because they are echinoderms, not fish. Echinoderm means "spiny skin." 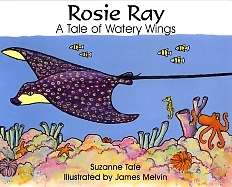 Many facts about the spotted eagle ray. It is one of the sea's most elegant creatures. The interesting story of an animal that survives because of its many blue eyes. 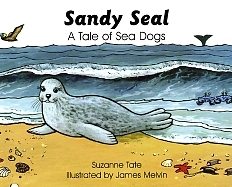 Interesting and factual story about the life of a young harbor seal -- popularly known as a "sea dog."